Wealthy Affiliate Starter and Premium Membership - Different? Wealthy Affiliate give you two membership options: Starter and Premium. Today we’re going to take a closer look at what both memberships have to offer and then compare and contrast the two. So what are the differences between Starter and Premium Memberships at Wealthy Affiliate? I joined Wealthy Affiliate as a free Starter member (as most people do) and quickly worked my way through the Online Certification Getting Started Course. I devoured the video training and step by step tutorials, I loved it! I had enough with getting scammed. Looking back, I think I found Wealthy Affiliate at a time when I was really ready to put the work in. What struck me immediately was how helpful and friendly the members were. It was buzzing! The place was full of newbies like me asking questions and expert entrpreneurs helping them follow in their footsteps. I was really interested in leadership and self-development (still am) and so I decided to build a website based on that. I completed the assigned tasks that come with every lesson and with lots of help and guidance, I successfully launched my first online business. Long story short, I continued to work on my businesses night and day because, honestly, I was desperate to change my situation and determined to get control of my life. 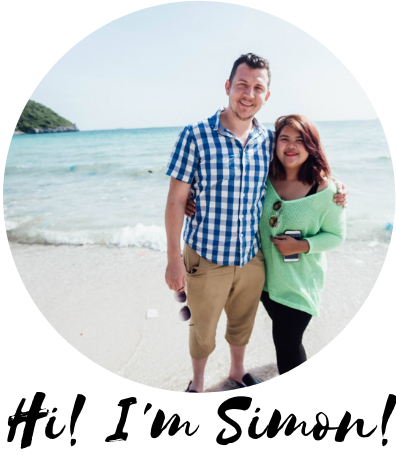 My online income grew and grew, so much so that after 12 months I quit my full-time call centre job and moved from the UK to south east Asia were I had always dreamed about volunteering to help give slum children a brighter future. The reason I’m telling you this is because I know what it’s like to be both a Starter and Premium member, I’ve been logging into Wealthy Affiliate for 3 years now so I think I’ve gotten to know the community quite well over that time. So, with that being said, let’s get into what you get with the Starter and Premium membership and lets compare and contrast the two. What’s included in your Starter membership? Let me just point out here that you don’t ever have to pay a penny to become a Starter member. No credit card required. The beauty of Wealthy Affiliate is that you get to test drive the whole system for free as a Start Member. As a Starter Member you get to enroll yourself into the Online Certification Course, interact with the community, build your first website and start making those all important first sales. Upgrading your membership to Premium will always be an option for you but what I’ve found is that you’re never made to feel pressured to do so. Many people choose to upgrade when they’re ready and many do not and that’s totally up to you. The Wealthy Affiliate Starter membership gives you an open door to the training platform and amazing community. This is where you learn the process of making money online and learn how you can get in on the action. Every lesson includes step-by-step walkthrough videos, detailed tutorials and interactive question and answer areas and comes with assigned tasks which means you can start building a successful online business as you work your way through the course. Two Free Websites – All Starter Members get access to the awesome SiteRubix website building platform and you get free hosting and domains for not just one, but two websites you can call your very own. The Awesome Wealthy Affiliate Community – WA is a place buzzing with activity. You can chat, share your experiences, celebrate your successes, ask questions and get answers from the buzzing WA community full fo helpful and friendly members all helping one another to achieve their goals. As I say, I would simply not be where I am today if it wasn’t for the countless number of people who helped me out, especially when I was just starting out. The Wealthy Affiliate affiliate program – You can invite family and friends who might be interested in learning how to make money online to join Wealthy Affiliate and earn yourself a healthy commission which can become a full-time income stream in itself. I have never seen this available anywhere else and I know of many people have built money-making empires for themselves just with the tools and support the Starter membership offers. What’s included in your Premium Membership? If the Level 1 training was just laying the foundation, you’re going to catapult your success as you go through the next 60 lessons. As a Premium member you’re going to have access to the most powerful website platform in the world. Fact. You’ll have up to 50 websites running on the most sophisticated hosting platform ever created. With access to over 3,000 theme options and an average building time of 34 seconds, it’s never been easier to create beautiful websites. This is your online business we’re talking about, which is you can rest assured your sites are in the best hands. WA Websites boasts a 99.99% uptime, site health checks, an excellent SiteSpeed rating, around the clock monitoring and daily backups. The technical support team is on hand 24 hours a day, 7 days a week to give expert support when you need it it. The average response time is less than 2 minutes – now that’s phenomenal. The Premium gives you instant access to every tool and resource you’ll need in one place. This includes the keyword research tool – your secret weapon to unlock top Google rankings. Displaying search and traffic data from the likes of Google, Yahoo and Bing, this keyword research tool will give you an unfair advantage over your competitors and help you reach that all important top spot. Covering all aspects of online business, Wealthy Affiliate hosts interactive webinars every week. Watch live, get involved in the discussion and ask your questions – it’s the ultimate ‘learn on the go’ experience. If you’re not able to make the live training sessions, simply watch the replays as many times as you like. Learn how to create viral YouTube videos, catapult your email list, plan your social sharing or build an irrestible landing page. Whatever it is you’re looking to master, learn from the best! You’ll always find Kyle and Carson, the owners and founders of Wealthy Affiliate, hanging around in live chat, giving support and help to aspiring entrepreneurs. My promise to you as The Make Money Online Blog readers is to help you make that all important first sale and it’s a commitment I take seriously. So how much does a Premium membership cost? Month-to-month membership – If you choose to pay monthly it’s $49 per month. ($19 for the first month if you upgrade within 7 days of creating your Starter account). There’s no contract and you can cancel at anytime. Yearly membership – The yearly price hasn’t changed since Wealthy Affiliate was first launched in 2005. With the yearly option you invest $359 per year and save 36% – now that’s a phenomenal discount! For less than $1 a day, you have instant access to over 60 lessons of the top make money online training found anywhere online, expert advice and coaching on tap, unlimited community support and all the tools you need at your disposal. This is the full package, you have everything you need to build a highly profitable online business. Becoming a Premium member is making the decision to invest in you and your future and your inevitable success. Are You READY For Online Success? Click Here Now To Get Started! Now that we’ve gone through the differences between the Starter and Premium membership options at Wealthy Affiliate, hopefully you’ve got a better understanding of what’s included in both and the pros and cons of both. My advice to you, if you’re unsure about which level of membership you should go for, would be try Wealthy Affiliate out for yourself first and take advantage of the Starter membership as a test drive as this will give you time to work through the first phase of training and experience the super helpful community first-hand. I’ll leave you with this comparison table that compares and contrasts the different membership options. Are you a Starter or a Premium member at WA? What do you think are the biggest differences between the two? Share your comments below.